Justine Timberlake & P Diddy- Story Nightclub! Story nightclub Miami South Beach is one of the hottest nightclubs in town with super high energy making it the perfect dance club. This nightclub lives up to the hype with an amazing lighting and sound system and beautiful girls everwhere you look. The DJs crank out the hottest dance hits and the crowd is loving it dancing until 4:00am. Story has 4 floors and many very cool VIP areas, the club is owned by the same group that owns another famous high energy dance club Liv nightclub. Story nightclub has Hip Hop R&B night on Thursday nights, Friday nights are House and Electronic Dance and Saturdays are Hip Hop and House music. We offer an amazing Story nightclub Party package with Hosted Entry no wait entry our South Beach Nightclub Package. is the best way to get into to this amazing nightclub without any hassles at the door. The party package includes a 2 hour open bar at a very hip lounge followed by a one way limo transfer from the lounge to the nightclub were you will have no wait hosted entry and the cover charge is included in the party package price. Here is the deposit link to reserve the nightclub party package. To ticket deposit to reserve is $25.00 per girl and $35.00 per guy and you pay the remaining ticket balance at the open bar lounge that night. We will not know the exact party package ticket prices until the Tuesday night or Wednesday morning before the weekend you are reserving for. You can reserve now or wait to reserve that Tuesday night when we have the exact party package price. *To pay the nightclub party package deposit of $25.00 per girl or $35.00 per guy deposit please fillout the deposit form below and enter you credit card information on the secure Pay Pal linked page once you press the Pay Now button. *With your party package deposit the card holder acknowledges and agrees to all the Terms and Conditions of our services and our nightclub party packages. *Nightclub party package blackout dates may apply for nightclub special events. Please let us know your second choice in case of a party package blackout. If you prefer a VIP table at the club the Story Nightclub Miami bottle service is the way to get the VIP nightclub experience. Let us make your bottle service reservations today and we will get you into the club VIP all the way. We work with Story nightclub every week and we will ensure you get the best bottle service pricing possible. We will get you into the club VIP Style with no waiting. 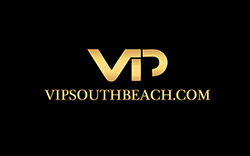 With VIP South Beach you will have hosted entry, pay no cover charges and get complimentary juice mixers with nightclub bottle service. Please note that bottle minumum spends start at $1000/$1500 plus tax and tip for a group of 3 girls /3 guys and can be higher depending on the club event. Story nightclub is located at 136 Collins Ave.